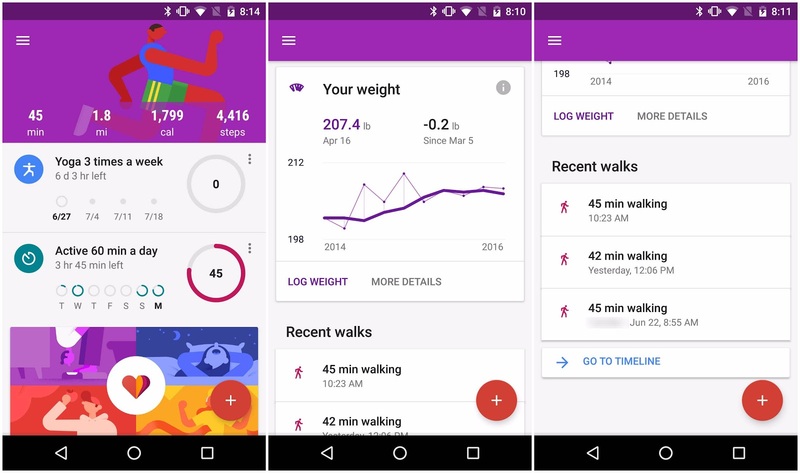 Google Fit, the Google-made app to track your steps and activity, has just received a big update. 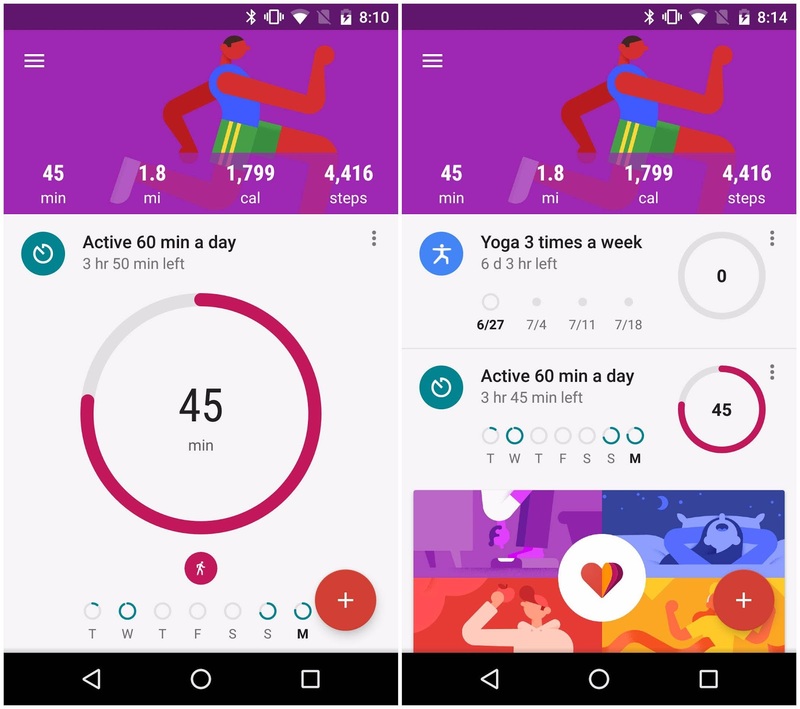 Google Fit's new version carries the unremarkable 1.57 number, but behind this inconspicuous number there is a major visual and functional overhaul. The first thing you notice when you fire up the app is that it's just more colorful in all places. The charts that show your progress towards your goal stretch to fill the screen and the background images also go from side to side, and look more striking. Best of all, the new version shows much more information on a single screen. 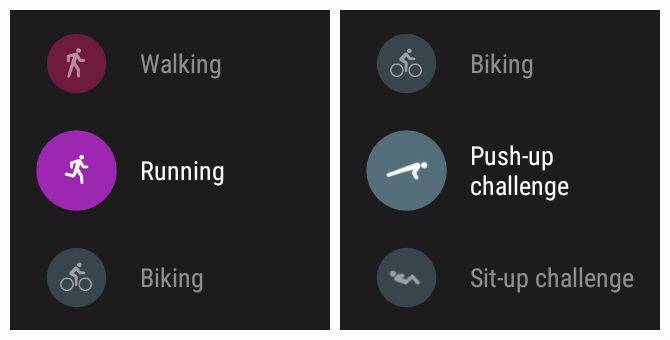 Previous versions of Google Fit felt almost too light on information, with giant blank, unused spaces all-throughout. For instance, the start screen now shows you a quick summary of the total time of activity you had that day, the distance you've covered, the calories you've burned, and the steps you've taken. It also shows a hint of your daily circle activity completion for the whole week. 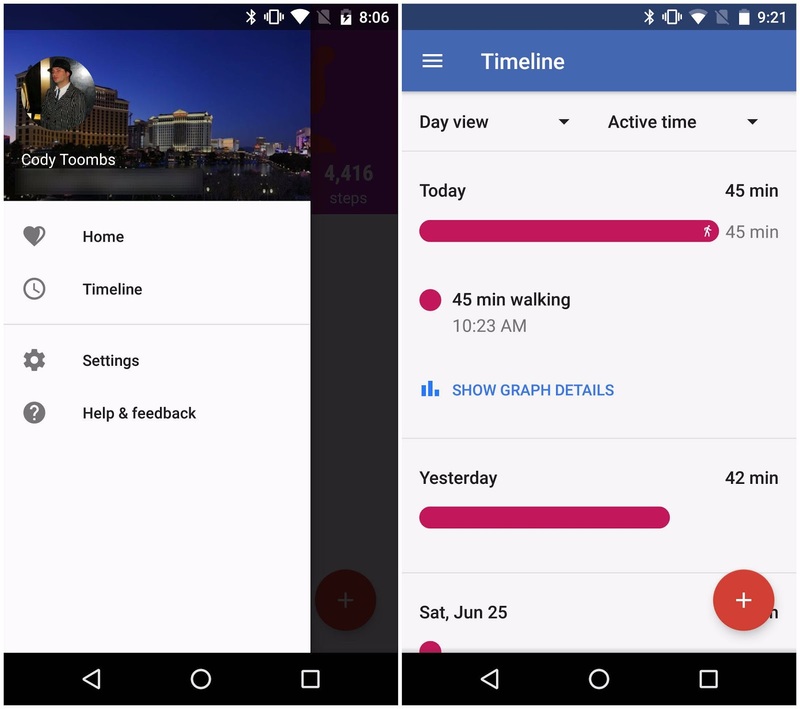 A new Timeline view arrives to the navigation drawer, showing you a history of your activity that you can quickly and easily browse. 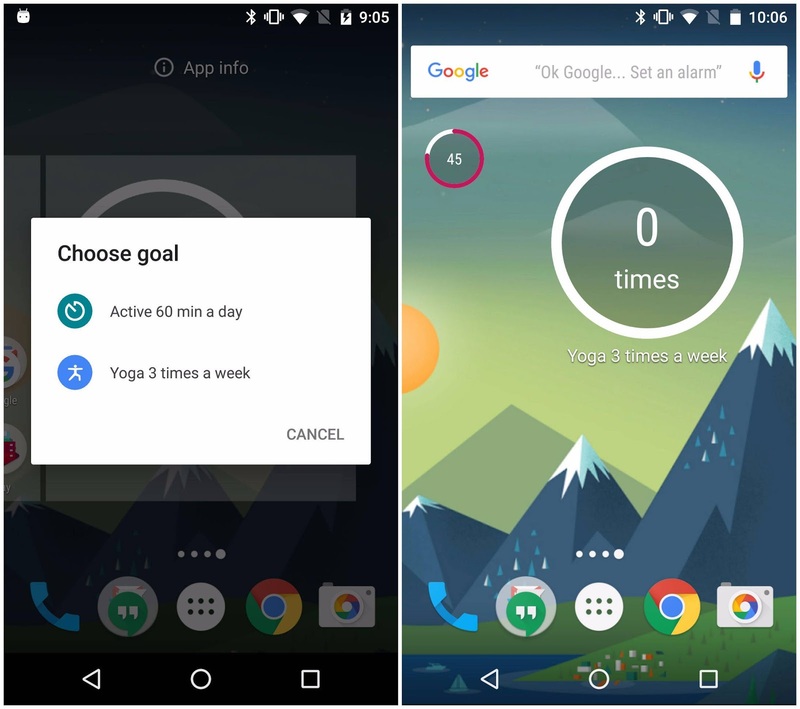 Goals also get a big overhaul: while you could set basic goals earlier, the new goals are way more configurable. 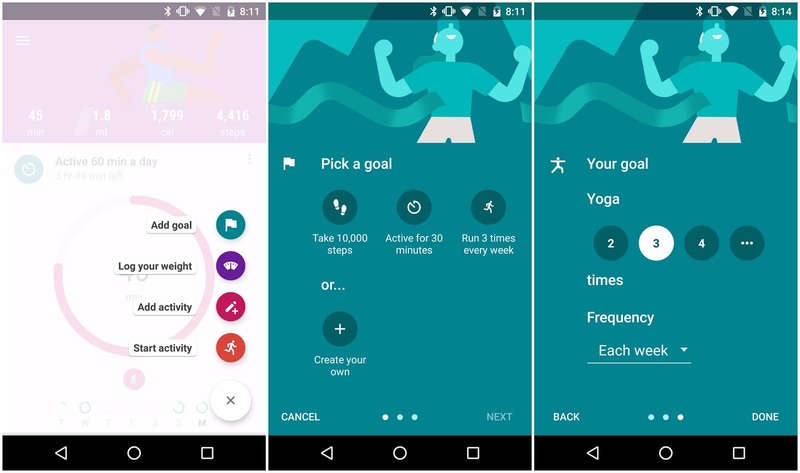 You can now set goals for different activities and a very specific periods of time, and you can even spread goals for multiple times throughout the day. 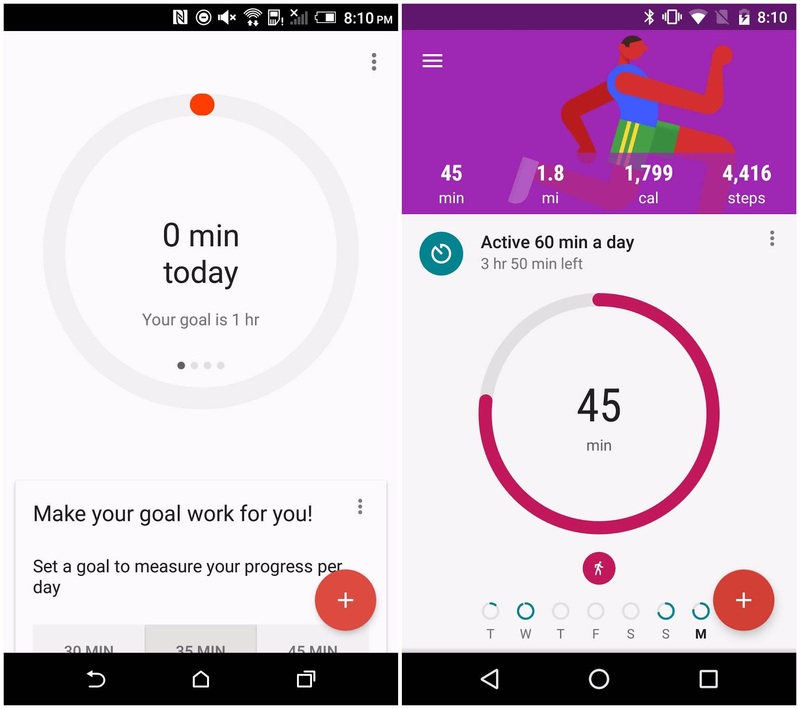 The Google Fit app also has a different look on the small screens of Android Wear now. A new black background replaces the bright white, while at the same time there is more text fitting on the screen. There is also an easily-accessible floating button that you press to start an activity. Also the latest update got a new widget in which we can select the information we want it to show on our home screens. All of these features are available in version 1.57 of the app and it can be downloaded from APK Mirror or you can download it from Play Store or to manually download the APK from APK Mirror .